Buchanan, David L. Jr. (May 21,2018) Beloved husband of the late Mary (nee Hofman). Loving father to D. Scott Buchanan and his wife, Kim. He will also be missed by his granddaughter Whitney Shepherd and her husband Jack of Yamhill, OR. Dave, a resident of Whitemarsh for most of his life, was recently in Hillsboro, OR. 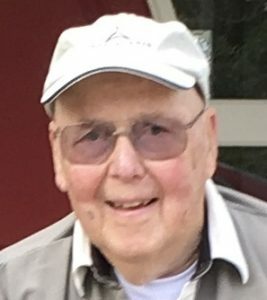 A long-time local business owner (Arch T. Flower, Del Val Pottery) and avid volunteer (Springfield Ambulance, US Figure Skating and Scripps Memorial Hospital) he always made a difference in his community. Relatives and friends are invited to David’s viewing May 31 at 11am at the Craft Funeral home of Erdenheim, 814 Bethlehem Pike. A Funeral service will follow at 12 noon. Interment Union Cemetery followed by a celebration of his life at the William Penn Inn. In lieu of flowers, contributions in David’s name may be made to the Gary Sinise Foundation.